SkyQ is a digital agency. We design, build and market websites, web and mobile applications. This is an era of knowledge explosion, which is theoretically and practically dominated and shaped by Information Technology. The quest of knowledge is unending and it goes back to the elementary level of questioning attitude. For asking question is a best way of learning. We struggle and aim at putting the whole idea into a technical framework symbolically entitled as SkyQ. For ‘Sky’ is the limit and ‘Q’ is the source of inspiration – may be a customer and developer. 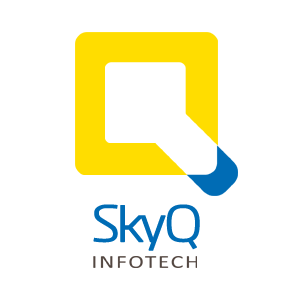 SkyQ designs, builds and markets websites, web and mobile applications that connect with users and transform businesses. Every client or person is unique for us, in many regards to us. Our free and social motivated web tools and websites. Very good knowledge and pixel by pixel mapping of each page.